In leadership as in life, only practice makes perfect. Habits are powerful. They can lock us into negative behaviors (like snacking and smoking) or train us to act automatically in ways that benefit us (such as putting on a seat belt). Routines quietly undergird large portions of what we do and how we function. Habit formation can speed success in the workplace as well--even in complex areas like leadership. The Leader Habit spotlights 22 essential leadership abilities, breaking them down into a series of small, learnable behaviors. The accompanying 5-minute exercises help you practice each of these new skills until they stick. Drawn from a study of hundreds of leaders across the globe, the book's simple formula focuses on developing one skill at a time: sell the vision, delegate well, innovate often, empower others, overcome resistance, build strategic relationships, focus on customers, listen actively, negotiate effectively, and more. Many of us aspire to great leadership . . . consuming books and training. But unless you intentionally reinforce the right behaviors, results are fleeting. 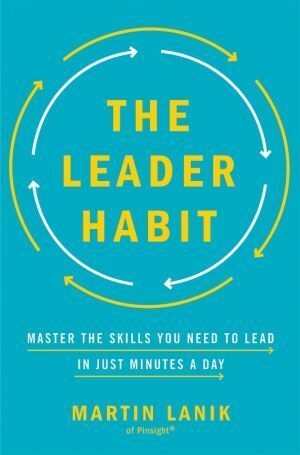 This eye-opening and original book builds the "muscle memory" to turn leadership skills into lasting habits.